This is one of the most popular series I have painted to date. 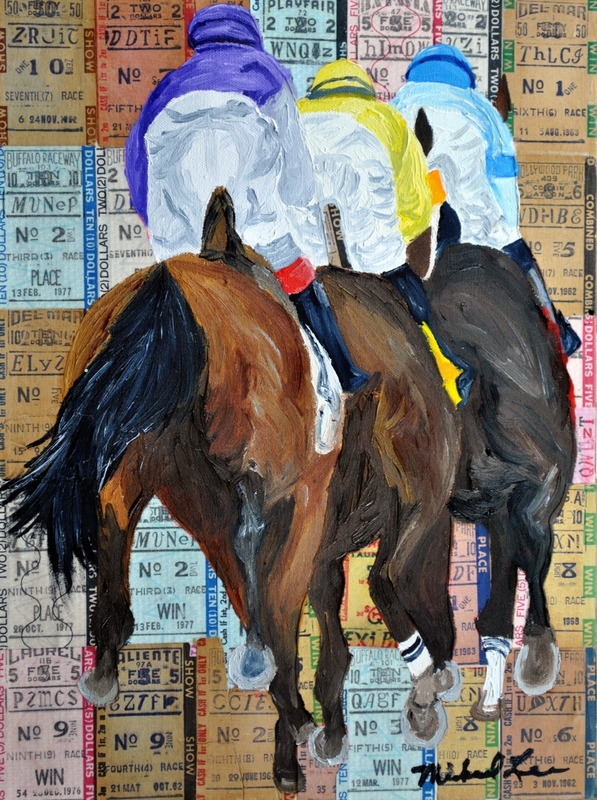 This painting is on vintage horse racing tickets. The horses and jockeys are painted in oil. 6.75" x 5"9.5" x 7"12" x 9"14.75" x 11"17.5" x 13"20.25" x 15"